If you're using Shopify, you can start using SmartrMail by installing the app on your Shopify store. The video above outlines the process of adding SmartrMail to your Shopify store. You can also follow the steps below by clicking on the button below to get started. 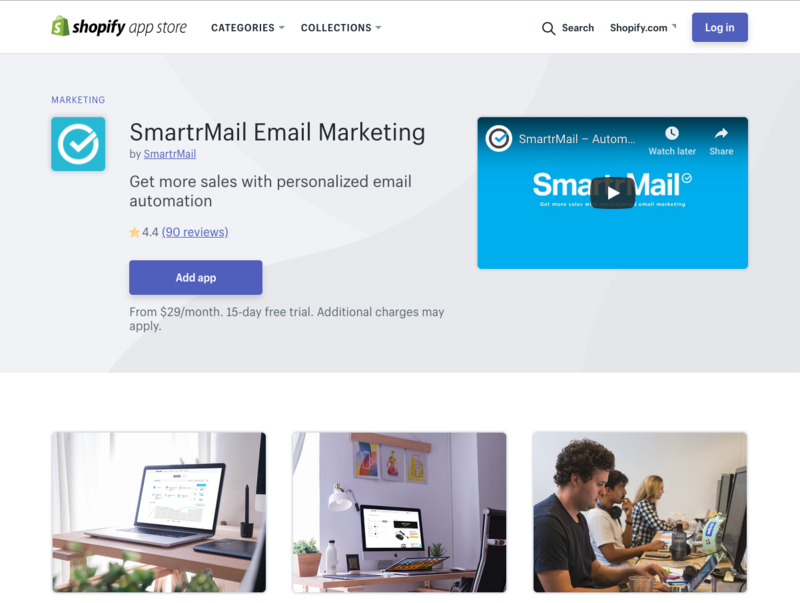 Once you've clicked the link, you'll be prompted to install SmartrMail from the Shopify App Store. After you click the link, SmartrMail automatically imports your store's data, including your store name, customers, order history, and products. A sales tracking code is also instantly added to your store's theme template. Once installed, you can easily access SmartrMail from your Shopify Dashboard under the apps tab.